Improve Your Health With Matcha Tea! If you are in need of an all-natural, organic pick-me-up you should take a look at Matcha Tea. 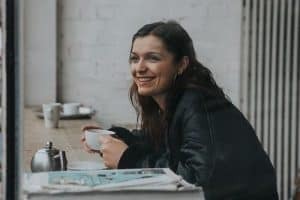 There are a lot of promises made about a lot of different items considered ‘health foods’ but this red tea is the most powerful jolt of energy you’ll ever find in a spoonful of powder. If you are in need of an all-natural, organic pick-me-up you should take a look at Matcha Tea. Green teas are good for you. If you have spent any time researching what they contain you’ll know that they are far better for you than standard black teas. What makes this tea head and shoulders about the rest is the high concentration of antioxidants contained in it. Antioxidants are chemical compounds that occur naturally and work in your body to fight disease and aging. While fruits and vegetables contain antioxidants there is nothing that comes close to the level of antioxidants found in this red tea. For comparison, pomegranates measure 105 units per gram and blueberries contain 91 units. Both are promoted heavily for their antioxidant content. 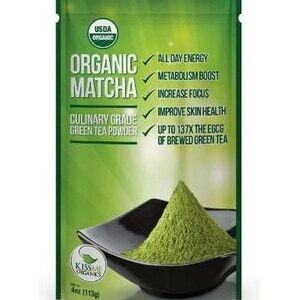 Matcha Tea measures 1,300 units per gram of antioxidants! – WOW!! Other important compounds found in this tea include a potent variety of antioxidants identified as catechins. The catechin EGCg (epigallocatechin gallate) is not found in other foods and has been proven to have aggressive cancer-fighting properties. Working with other catechins, EGCg combats the damaging effects of free radicals that enter the body from various sources. Free radicals break down cells which then become susceptible to disease. The catechins in this tea prevent this from happening. In addition to antioxidants and catechins, a unique amino acid is also found in this powder. It is called L-Theanine and the calming effect of this amino acid has been known for centuries. L-Theanine is responsible for the promotion of a relaxed state of well-being and alertness that aids the brain in normal function. I use this product whenever I need a mild pick me up without the come down so often follows after drinking coffee; and because of this it doesn’t give me the jitters like coffee does. So people think that it takes you to have the shakes or jitters before you can feel ‘pumped’ and alert with all cylinders firing but with this red tea this is not the case. I still feel alert without the anxiety that sometimes comes from too much caffeine. This tea is packaged in powder form (rather than a leaf variety many of us associate to with teas). I quite like this as I find it is much easier to mix it into a variety of beverages. For example, I add the Matcha Tea powder to smoothies and have used it in in baking and most frequently used it to make a green tea latte. I love the energy boost I get from this tea and what I like the most about it is that it happens to be so high in antioxidants as I mentioned earlier. The fact that it tastes so good is an added bonus which makes me want to drink more than a single cup at a sitting; it can be quite addictive (in a good way!). I find that this tea is effective in assisting me on those days I feel a bit blah and need to be alert and quick thinking. Would I recommend it? Of course I would and I would strongly urge you to order Matcha Tea in the powder form as it can be used in so many different ways.